What does the monumental MOMA exhibition of Abstract Expressionist paintings currently on at the AGO have to do with cycling and triathlon, or sport of any kind? Well, far more than may be immediately obvious. While not as concrete as Mike M’s graphs measuring transition times (see post below), much of the work seeks to measure, represent, and engage with gradients of emotion even as it changes, jars against, and so contradicts itself—when, paradoxically, abstraction becomes precise. It is this continuous back and forth across a spectrum of emotion that I find so compelling about the show…whereby standing in front of any one piece, at a slightly different angle, from farther across the room, for the second or third time, the shades, even the textures seem to shift. To my mind, this is how we, as complex and dynamic beings, actually experience emotion. It is also this range that I am becoming familiar with in Ironman training, and why I have so much respect the distance. The more time spent “out there,” the longer the continuum of emotion one confronts and so needs to mitigate, be moved by, contain, turn off etc. For me, Mark Rothko’s huge colored rectangles in the Abstract Expressionists show offer a perfect visual for the loaded “blankness” of my own facial expression on the long 5-6 hour rides I’ve been doing. It’s an expression that my training partners and coach have come to know well. My normally smiling and talkative self adopts a silent, blank, on-the-verge-of-eruption-determined stare. It’s a look that conveys at once a cranky, “hurry up and get this done,” and a “this is outstanding” appreciation for the moment. This resonance is what I kept hearing, seeing, intuiting throughout the AGO show. In witnessing the formed formlessness of so many masterpieces of abstraction, I kept hearing my coach say “uh-oh, Suzanne’s not talking anymore…” As I answer her in barely audible mumbles, she knows I have entered that other place—a place of focused intensity wherein we are both present and absent at the same time. 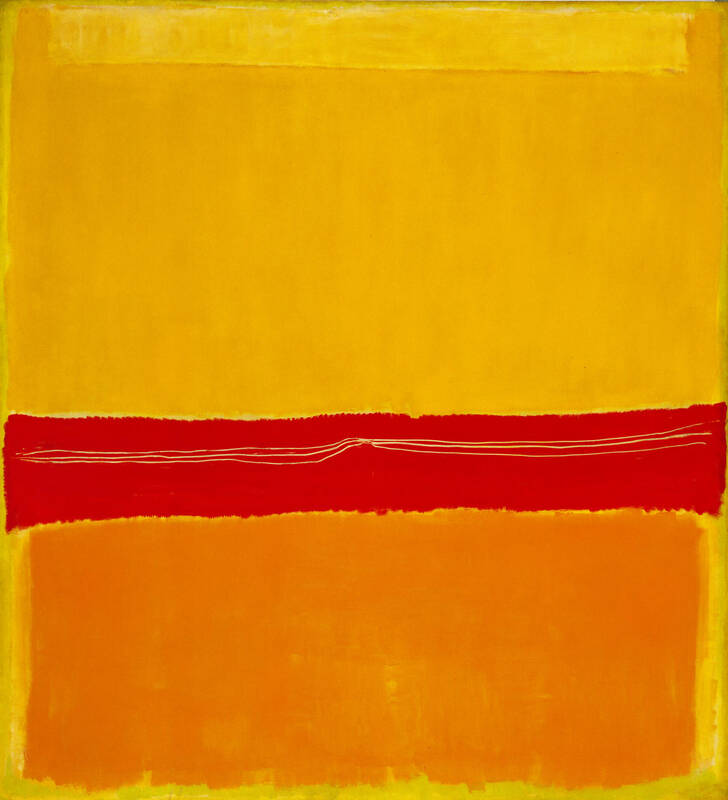 Rothko advised of his work that “If you are only moved by colour relationships, then you miss the point. I’m interested in expressing the big emotions—tragedy, ecstasy, doom.” For my inaugural Ironman, I’d really like to channel the ecstatic,and can do without the feelings of tragedy or even doom, but if they emerge for a second, I now know they will pass quickly, in a pedal stoke, in an armful of Mirror Lake, in a footfall on pavement. I can’t wait.